Pumpkin pancakes make a great breakfast for Autumn holidays like Halloween and Thanksgiving. I made both plain and pumpkin pancakes for my little ones this morning. If you don’t have pumpkin handy you can always just add any flavor the kids like to the pancakes such as pumpkin spice or cinnamon and use orange food coloring with store-bought pancake mix. Here’s how to make pumpkin pancakes pictured above from scratch. This recipe makes about six 6-inch pancakes so increase the ingredients if needed. 1. Whisk flour, sugar, baking powder, spices, and salt in a bowl. 6. 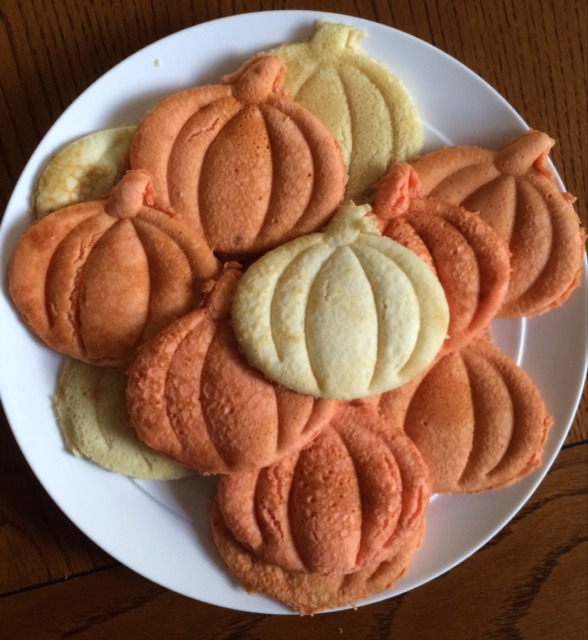 Cool for a minute or two and use a pumpkin-shaped cookie cutter to cut out the pumpkin shaped pancakes. Serve with maple syrup, butter, or confectioners sugar.